Batty and the Killing Machine Chapter 1 is a horror map for MCPE.The map is the first in series of maps. In total, it is planned tomake five chapters.On this map, you will be play as Steve. He drawscartoons 30 years in Jeffrey's studio. Jeffrey invites you (Steve)to himself in studio, but when you come there, there any more isnobody. Moreover, all in ink! Purpose of map– to start ink machineand leave from studio live. 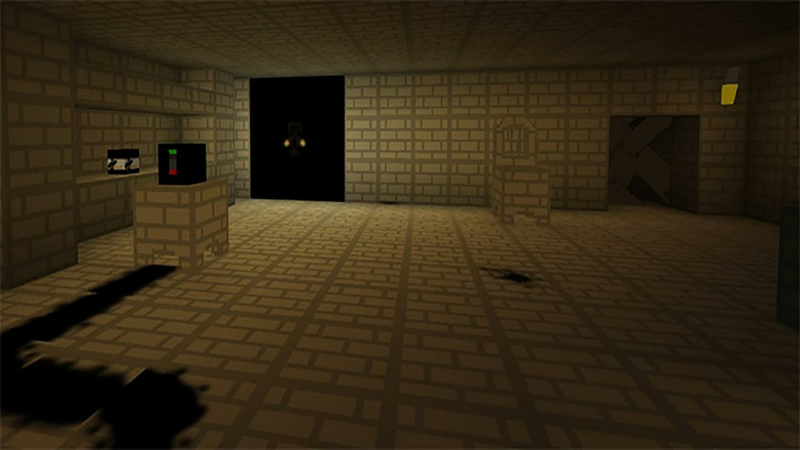 Feel the real horror with the Batty andthe Killing Machine Chapter 1 map.INFORMATIONTo install maps forMCPE, you need to download free of charge our application forMinecraft PE, to carry out instructions in the application. Then toopen your Minecraft PE and to choose maps for MCPE in the list ofmaps.DISCLAIMERWe use trademarks Minecraft Pocket Edition frompermission of the Mojang AB Company. We are offers developers andnot claim by these trademarks. The Mojang AB Company registeredthem. We a guided by a policy of use - account.mojang.com/terms andminecraft.net/brand-guidelines. You thought that you already saw everything in MCPE maps? Andamusement parks with roller coasters, and intricate labyrinths, andredstone? Any adventures will not surprise you?! Download this MCPEmaps Super Waterslides Map redstone and you will understand thatyou have seen nothing so cool before!This MCPE maps is a real waterpark in which you will face with water slides and towers, fromwhich only the boldest fans of the sandbox of Minecraft PE canjump! All lovers of adventure and entertainments such an amusementpark, definitely, will like it!Do you like to go to water parkswith a lot of slides and towers for jumping, but prices bite? Inthe sandbox of Minecraft PE prices do not bite! But if funentertainment and high slides and towers seem to be a horror, thendo not download this maps Super Waterslides Map redstone in anycase, because it is that place where adventures begin!DISCLAIMERWeuse trademarks Minecraft Pocket Edition from permission of theMojang AB Company. We are offers developers and not claim by thesetrademarks. The Mojang AB Company registered them. We a guided by apolicy of use - account.mojang.com/terms andminecraft.net/brand-guidelines. 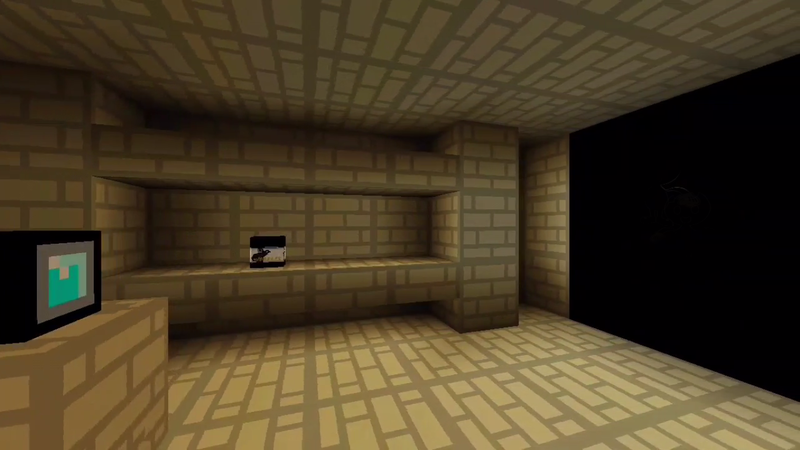 Before you is a well known quest map ofhorrorson survival for MCPE - based on Bendy and the Ink Machine.Action ofthe map takes place in the remote past.You will play for Henry, and demons will come to you from thepast!Try to get out of the abandoned Joey Drew’s workshop.Somethingawaits you on every corner! 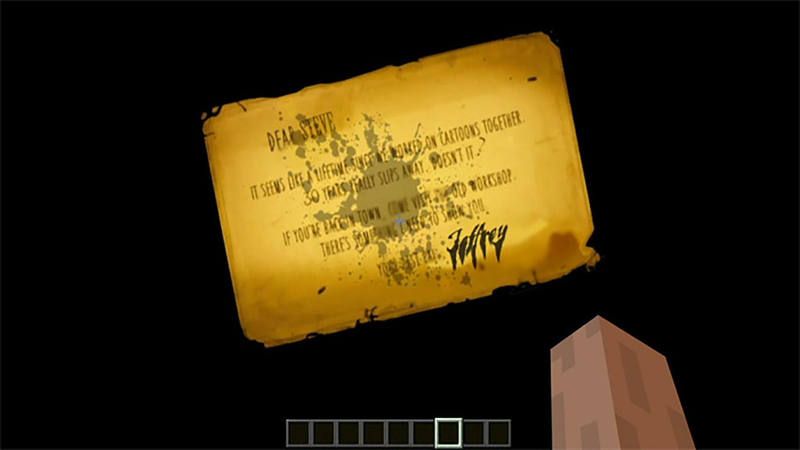 The map based on the gameBendy and theInk Machin will not leave you alone for a very longtime.Forget all the ideas of animated films, now everything willbedifferent!Solve a quest, run away from a workshop, but the main thing isyoursurvival …INFORMATIONTo install the map for MCPE "Bendy and the Ink Machin", you needtodownload our application for Minecraft PE free of charge, tofollowthe instructions in the application. Then open your MinecraftPEand choose the maps for MCPE in the list.DISCLAIMERWe use trademarks Minecraft, Minecraft Pocket Editionfrompermission of the Mojang AB Company. We are offers developersandnot claim by these trademarks. The Mojang AB Companyregisteredthem. We a guided by a policy of use-account.mojang.com/terms. On this maps for Minecraft PE you should trytosurvive! Maps are a big labyrinth with scary monsters. Youshouldrun away or to kill them. Check whether you approach onsurvival inMCPE?How to install survival game and mods?1) To download our maps / mods for Minecraft PE2) To open the application Minecraft PE3) To choose survival maps / mods in a gameDisclaimer:We use the Minecraft Pocket Edition and MCPE trademarks withthepermission of Mojang: account.mojang.com/terms. We arethird-partydevelopers and we do not apply for registered trademarks. Are you looking forward to Xmas and NewYear?And what a New Year without fireworks and firework games?! Butdonot forget that it is not safe to blast fireworks andfireworkgames! Therefore, if you do not want Christmas and New Yearto turninto horror, but still want to launch fireworks, practice,firstpractice in the sandbox of Minecraft! Download this MCPE maps,andthe adventures of finding the best fireworks start!On this MCPE maps you will face with several different typesoffireworks, here you can learn all about them, and abouttheirfunctions. With this minecraft maps you can not only maketheadventures in the sandbox festive, but the New Year morefun!Download this map, prepare for the holiday, do not letChristmasbecome a horror!DISCLAIMERWe use trademarks Minecraft Pocket Edition from permission oftheMojang AB Company. We are offers developers and not claim bythesetrademarks. The Mojang AB Company registered them. We a guidedby apolicy of use - account.mojang.com/termsandminecraft.net/brand-guidelines. This MCPE Addons introduces severaladvancedtechnological creations into the world, completely changingthe waymany enemies look and act, and really changing the feel ofthe gameto a more sci-fi one.• This Addons replaces 18 of the existing mobs into moremenacingand deadly robotic enemies that will stop at nothing toterminatethe player!• Among other things, you will also be able to createhelpfulturrets (replaces snow golem), sentry robots (iron golem),and aflying robotic throne to sit on (replaces chicken)!• Most of the new enemies are much stronger than the mobs theyhavereplaced, and have different attacks and skills.Treadcarefully!• This Addons can be installed on any map you like. Downloadtheapp, launch it, and follow the instructions!• You need to have the Minecraft Pocket Edition app to playwiththis addon.How to install maps and mods?1) To download our maps / mods for Minecraft PE2) To open the application Minecraft PE3) To choose maps / mods in a gameDisclaimer:We use the Minecraft Pocket Edition and MCPE trademarks withthepermission of Mojang: account.mojang.com/terms. We arethird-partydevelopers and we do not apply for registered trademarks. This exciting MCPE mod brings 10 new typesoftnt blocks into the world. Each has its own special powers,frommore powerful explosions, to the ability to spawn asmallhouse!• Bring the boom! 10 new types of TNT blocks are atyourdisposal.• The blocks vary in effect dramatically. One will simply actasmore powerful TNT, another will spawn lava, or ice, or moreTNTblocks. Finally, the last one will create an explosion sopowerfulit will make your device lag like hell, but only for abriefmoment.• You cannot craft these blocks at this time, but you can getthemusing the creative inventory menu.• This app will only work if you have Minecraft PocketEditioninstalled on your device.How to install maps and mods?1) To download our maps / mods for Minecraft PE2) To open the application Minecraft PE3) To choose maps / mods in a gameDisclaimer:We use the Minecraft Pocket Edition and MCPE trademarks withthepermission of Mojang: account.mojang.com/terms. We arethird-partydevelopers and we do not apply for registered trademarks. Are you a fan of the Minecraft sandbox? And you also love quests,mini-games, arcades with various puzzles, logical tasks andadventures? Then you got there, where you need! The MinigamesCentral map is all your favorite genres of games, collected in oneapplication. On one MCPE map you will have to experienceunforgettable adventures and emotions, solve a lot of puzzles,logical tasks, go through difficult labyrinths, and just playarcades and quests. If you are ready for such incredible emotionsand adventures, then download Minigames Central.Minigames Centralis a collection in it’s essence, but the collection is not in itsusual sense. It's just a collection of several mini-games andarcades, full of adventures and puzzles on one map, it's a kind ofamusement park, after which you have the right to choose what to doand what to play. It depends on you what will you choose. Puzzle,logic games, quests, arcades of Minecraft sandbox all in oneapplication for Minigames Central!Have you already downloaded itbut you can not start? Note that to start the MCPE Map, you onlyneed to install Minecraft Pocket Edition.How to install maps andmods?1) To download our maps / mods2) To open the application 3) Tochoose maps / mods in a gameDisclaimer:We use the Minecraft PocketEdition trademarks with the permission of Mojang:account.mojang.com/terms. We are third-party developers and we donot apply for registered trade marks. In this creepy MCPE map you need to do everything possible to getout of the incredibly strange maze. May be it sounds quite easy,but it’s not, because you will try to find the way out in thecomplete dark! Download our new map for Minecraft and do everythingpossible to survive! 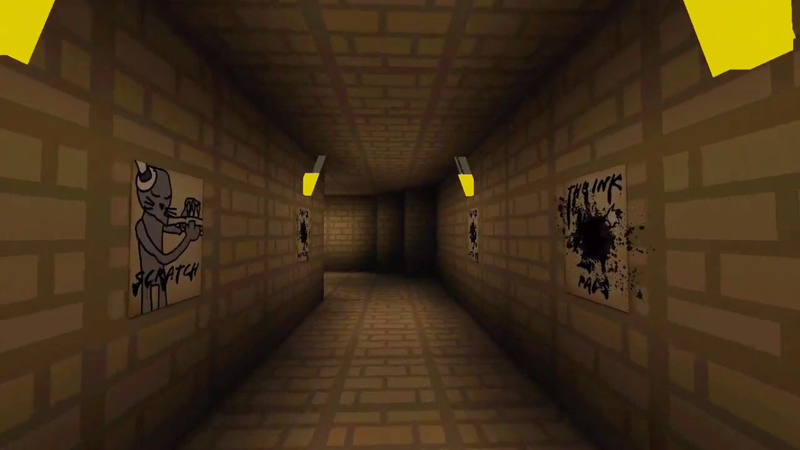 This frightful map for MCPE based onwell-known horror-game Bendy and the Ink Machine, so, if you keenon maps of this genre or you want to test your nerves, you willdefinitely like this map for Minecraft. Your main aim to find theway out of the creepy dark maze, and it won’t be easy to do,because nobody knows, what is waiting for you in the dark, and toguess the danger is almost impossible. Fortunately, in this MCPEmap you will have a night sight, it will help you a little,although you won’t see, what is located far, you will see theobjects near you quite clear. You can also call your friends,probably, all together you will find the way out faster. We adviseyou play in the headphones, you will hear every creepy sound, itwill help to create terrifying and tense atmosphere. So downloadthis new map for Minecraft for free, call your friends and try tofind the way out from the maze! -You can download this Minecraftmap for free. -You will need to install Minecraft Pocket Edition onyour mobile device for this map. DISCLAIMER: This map for MCPEisn’t made or supported by Mojang. Minecraft and Minecraft PocketEdition are official trademarks of Mojang AB. The developers ofthis MCPE map don’t cooperate with Mojang. This application fullyadheres to the terms set up by Mojang AB. More info athttps://account.mojang.com/terms. 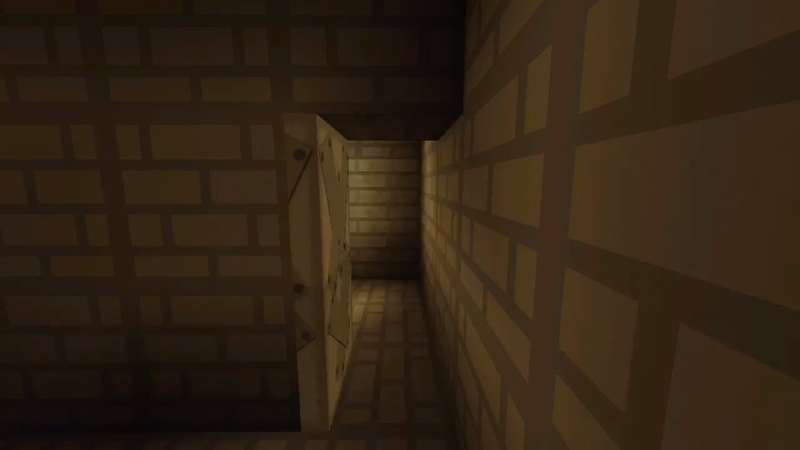 Despite the fact that we are used to consider the game Bendy andthe Ink Machine to be horror action for survival, this MCPE Map ofBendy and the Ink Machine, based on well-known horror puzzle, isreal quest, very complex puzzle. And which puzzle is most difficultone? Labyrinths, of course. To find a way out of labyrinth ischallenge.On this MCPE map, you will be in role Henry, who willhave to escape from abandoned workshop Joey Drew, which is long andintricate labyrinth full of fears, horrors of Minecraft. Behindevery door workshop, new puzzles, new riddles, new quests, NEWHORRORS AND OLD DEMONS await you. So do not be afraid, but neverforget that your survival is always at risk. After all, every nextdoor can put an end to your adventures in Minecraft. 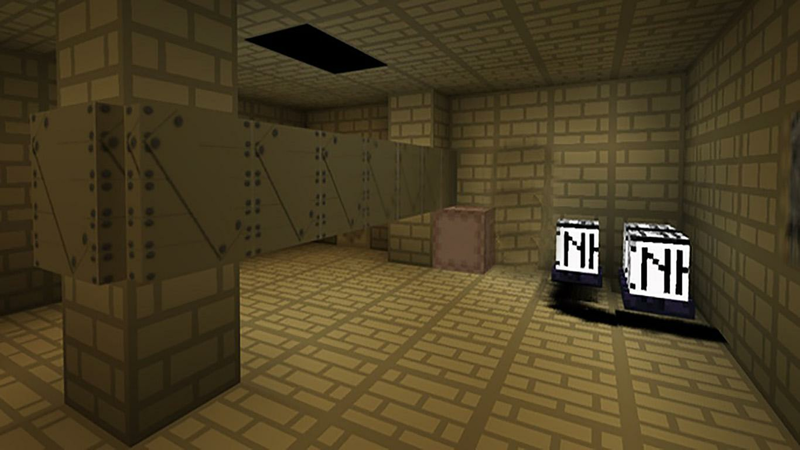 Becautious!Map of MCPE Bendy and Ink Machine is adventure Minecraft,where you cannot stop. Do not stop, escape from this terribleplace, download it RIGHT NOW!DISCLAIMERWe using trademark MinecraftPocket Edition from permission Mojang. We are thirdpartydevelopers. Mojang AB registered this. We a guided by a policyusing - account.mojang.com/terms. Be careful Cute Bendy can come out!Find the keys and open thedoors. But be careful The Projectionist always on alert.Find theAxe and break the coffin inside the house.You have to solve a lotof other secrets. All you need to do is download the app, click your favoriteminecraft youtuber's head, then click the button "Download Skin".The download is fast, and simple. This app allows you to search aminecraft username, or find one by using the popular section! It'seasy to get your favorite skin! Disclaimer: MCPE Skin Studio is notin any way related to Mojang or Minecraft. This app is NOT endorsedby Mojang, and is unofficial. We are not responsible for damagecaused to your device or any skins lost due to this app.